Failure to have legal marketing goals is the second part in a 6 part series on legal marketing mistakes that I see lawyers making all the time. Yesterday I wrote about the failure of lawyers to do any marketing at all. The big mistake that I want to address today is the failure of many lawyers to have a written list of goals for their law practice. 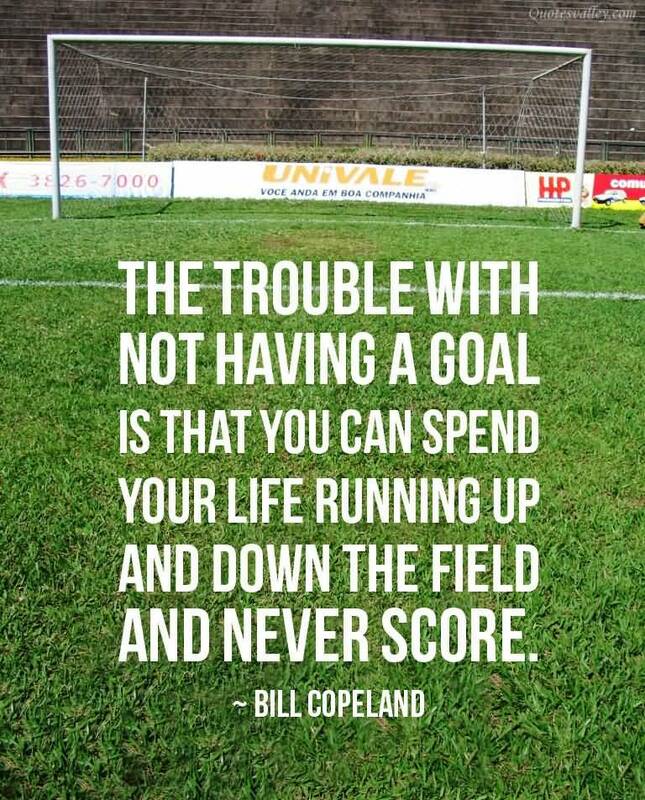 I’ve written about goals a number of times on this website (here, here, and here). There is a very good reason for that. Having clear, big, specific goals is vitally important to the success of your law practice. Too many attorneys start a solo law practice but simply have no idea where they are going. They kind of meander through with no “end game” in sight. A 2008 study by Dr. Gail Matthews of the Dominican University of California shows that people who have written their goals down and shared them with people are 33% more likely to accomplish their stated goals than those who merely formulated goals. And when we talk about writing down your goals, I don’t mean on a computer. That’s the easiest thing to do. I’m talking putting pen to paper and actually, physically, writing your goals down. I use a Moleskine Notebook to write down my goals and then review and revise them weekly. There is a reason that you must write these goals down on paper and not put them in a computer. When you write them down on paper, you are starting to train your mind how to think, and how to connect your goals to one another. 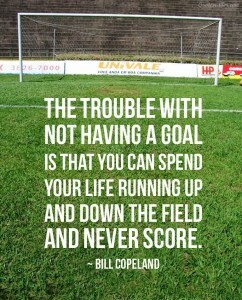 There is something psychological that is going on when you write your goals down. Determine exactly what you want to do with your law firm and how much revenue you want to generate. Make sure that this is step is definite and specific. Determine exactly what you intend to give to obtain this goal. Establish a definite date by which you intend to accomplish your goals. Create a definite plan for carrying out your goals and begin immediately to put your plan into action. Write out a clear concise statement of what your law firm is going to look like, how much money you will be generating in revenue, when this will happen by, and what you will do to obtain these goals. Read the statement you developed in #5 to out loud to yourself twice a day – first thing in the morning and before you go to bed. According to Napoleon Hill, the most important step is #6. It is vitally important that you read your statement out loud to yourself twice a day to fix this statement in your mind and so that you can train yourself mentally as though you have already accomplished your goals. I find that it is important to revise your goals weekly so that you can track your progress. For some people, it is ok to revise and revisit your goals on a monthly basis. The problem I have with monthly revisions is that it is too easy to forget the goals are there and then stop reviewing them altogether. If you don’t want to invest in a notebook, or if that just isn’t your style, than the next best option is to write your goals down on a notecard and carry them with you everywhere. That way you can constantly refer to them and allow them to guide your decisions during the workday. If you remember from this post about goal setting, all your goals boil down to the one thing that you must do, everyday, to move you toward your ultimate goal. My recommendation is that you do that one thing first thing in the morning. My one thing is writing – and I do that at 6 am everyday for one hour minimum – without fail. Take some time right now to begin to formulate your goals and write them down somewhere. Once you have done that, determine the one thing you must do right now, today, to take action on your goals. Then take a minute to write in the comment section below what your one thing for today is. Tomorrow we will get to the fourth biggest mistake I see young lawyers make when they start a law firm.